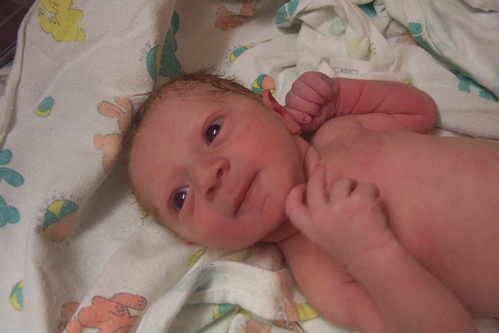 Say hello to LibraryThing’s newest lifetime member, Liam Patrick Spalding, born 5:24am 3/9/06. Mother and baby are doing well. Liam thanks everyone for your support. It bought him a swell nursery! Liam is fortunate that both his parents work at home (web developer, writer). But give me a few days before any new features are added, eh? For now, Abby (abigail@librarything.com) is handling user emails—she’ll also be checking my email account. Austin (austin@librarything.com) is handling server issues.